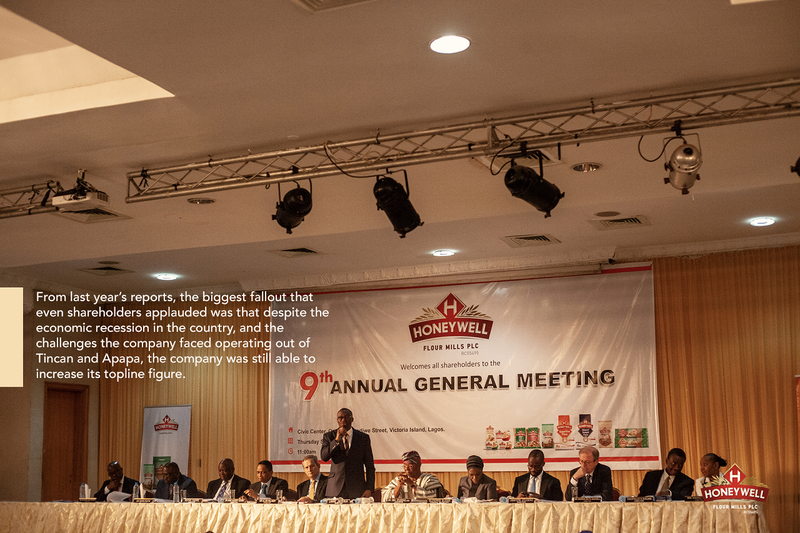 On the 20th of September, 2018, Honeywell Flour Mills its hosted the 9th Annual General Meeting of all stakeholders and shareholders. 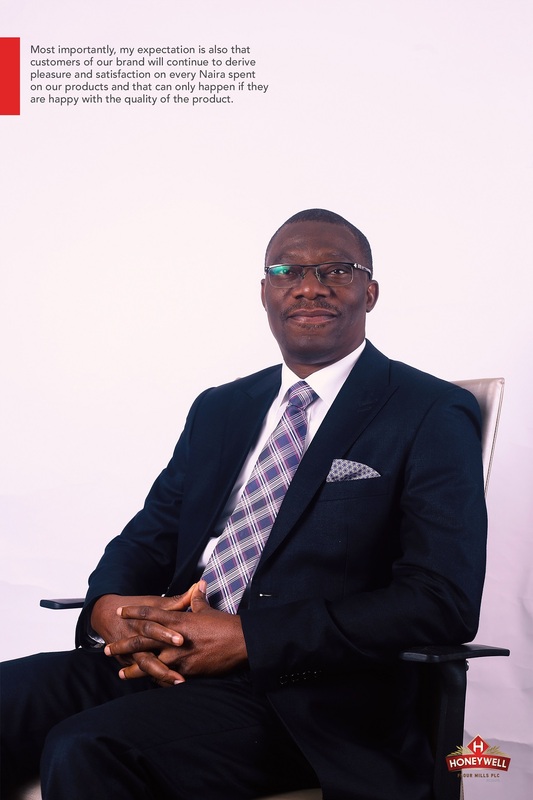 After the event, Mr. Olanrewaju Jaiyeola, the Group Managing Director/Chief Executive Officer, Honeywell Flour Mills Plc, answered a few questions regarding the company’s operations over the past year, plans to take advantage of new opportunities springing up as concerns food production and retail, and where he sees the company over the next few years. Below is the interview in full. Why was “Passion For Excellence” selected as the theme for this year’s AGM? For us at Honeywell, passion is not just one of our core values; it is also a culture to us. This year, it came across to us more than ever before that excellence is something everyone should aim for. The reason for this was an experience we had last year regarding our product quality which affected us in some way. We thought that in order for this business to continue to grow, we must never deviate from the perception we have had in mind to create about the brands, which can only be derived from a business that has excellence as its watchword. This last financial year, we decided to re-emphasize that commitment to excellence; especially in terms of product quality. This also means putting excellent individuals behind the company’s processes and operations. In your response to the previous question, you mentioned an uncomfortable situation which inspired this year’s AGM theme. How do you plan to stop similar occurrences from happening in the future? As I said, from the onset of this business, the commitment has always been to offer consumers of not only our Flour but also all our brands, high-quality products. But then you know sometimes, the competition gets so intense and you begin to probe inwardly on the way things are done and look at how it can be improved on especially when the desired results are not being achieved. 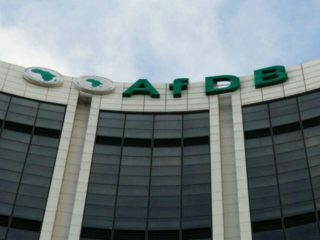 Just as it happens with other Flour Mills, the company decided to tweak some aspects of its raw material base and the way they are deployed for production. The result of this was that in some way, bakers felt they weren’t offered the best product in terms of the quality that is consistent with what we’ve been known to produce. It affected us a bit in terms of customer feedback and the actual offtake of the product. I personally had to initiate a corrective measure to quickly change the perception, which we did within a very short time. Today, if you take a survey of the users of Honeywell Flour brand, they’ll tell you a different story. In addition to a renewed commitment to product quality on the company’s part, what are the other things consumers should look forward to from Honeywell Flour Mills? People should look out for a company that is offering not just products, but that also after-sales services especially for products that serve as raw materials for the primary customers like our Flour. The feedback we have received suggests that sometimes the complaints of customers isn’t necessarily because the product is bad or defective in any sense, but perhaps because of a knowledge gap. One of our plans is to close that gap, which was the thinking behind the Honeywell Baking School; where we bring in both experienced bakers who desire more knowledge, and the greenhorns. I particularly expect that a consumer that uses the Honeywell brand should have that comfort of not only an excellent product but more importantly, a product that will always be available. Availability for us is very important. In fact, our next game plan is to put some spend behind ensuring that products are available at every touchpoint for the consumer. In light of the emerging influence of digital technology in the food retail ecosystem, how is HFMP positioning itself to take advantage of this new opportunity for growth? If you profile the route to market for the brands we offer, we will not be overstating the fact that these traditional routes (Open Market, Modern Trade) are still the most predominant. Indeed they probably account for over 95% of the total industry. However, the truth also is that the game is changing. Digital technology along with the opportunities it brings is fast evolving. 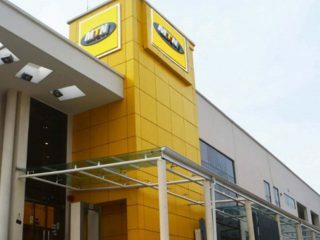 While the operations of online retail stores are not yet perfect in Nigeria, it doesn’t change the fact that it’s a new trend. Considering that the majority of the Nigerian population is increasingly becoming dominated by a younger demography, we have to adapt whether we like it or not. 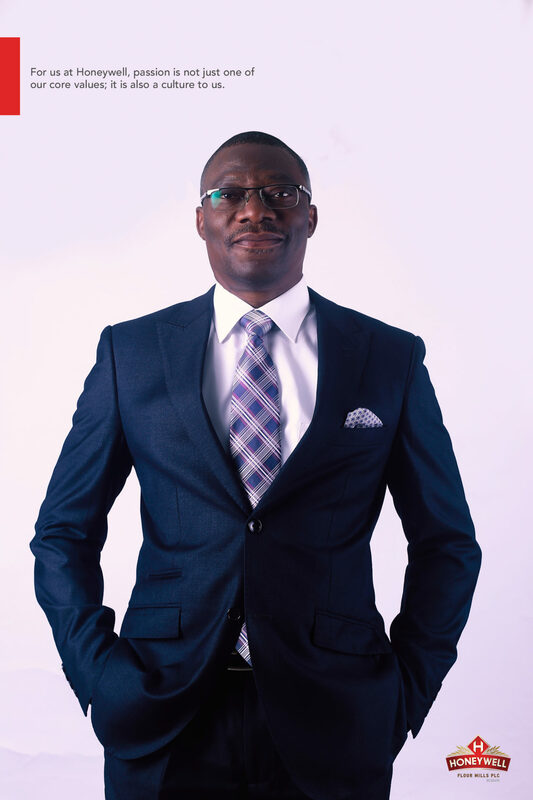 For us, I think we’ll be doing ourselves a World of good by playing in that space, appealing to consumers and helping to build the awareness level of Nigerians to these new opportunities. In essence, we sometimes make a big mistake in thinking that some of these opportunities won’t appeal to people. It, therefore, stands to reason that one day, people would love to place orders for products we offer right from the comfort of their homes, with the assurance that they are wholesome products. That last part is important because sometimes people place orders online and either don’t receive their package early, or they eventually do but it’s a substandard one. You can imagine this can dissuade a user but when we plug those gaps, you suddenly realize that Nigeria is there. And for us at Honeywell, it’s important we are there early and not follow the crowd. Did the company record any unexpected wins from the last financial year? 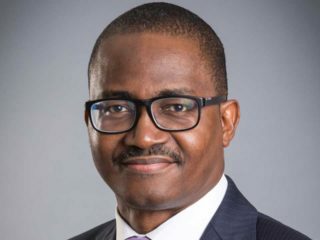 From last year’s reports, the biggest fallout that even shareholders applauded was that despite the economic recession in the country, and the challenges the company faced operating out of Tincan and Apapa, the company was still able to increase its topline figure. We were seriously challenged by the complications of transportation between both locations but notwithstanding, the company was able to dare the odds. We appreciate the efforts of our business partners across board including customers, the OLIC partners, the vendors, those who deliver raw materials, and those who worked with us to ensure this big challenge didn’t hold them back. Of course, it meant we had to pay some extra, but overall we are proud as management and the shareholders are also very happy we were able to take the topline up as well as profit after tax. What are your expectations for Honeywell Flour Mills over the next few years? A: My expectation for the next year of the business is in tandem with our short (1 year), medium (1-3 years), and long term plan (5 years and above). 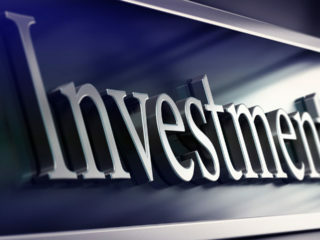 In the short term, our focus is to take the business to another pedestal altogether in terms of turnover delivery. The highest turnover the business had posted was our results for the last financial year, which was ₦72bn. If you put them in categories, there are businesses that do a $100m in turnover, some that do less than $250m, and those that do $250m and above. The last category is what we want to get to. We are looking at delivering a turnover of nine digits. Beyond that, we are also looking at some deliverables on this expectation. One of them is our new factory coming up in Sagamu which is scheduled to be commissioned this month. I also look forward to an improved traffic situation at Apapa and Tincan. Most importantly, my expectation is also that customers of our brand will continue to derive pleasure and satisfaction on every Naira spent on our products and that can only happen if they are happy with the quality of the product. So I expect therefore that the business will continue to deliver products of high quality value that will continue to meet the expectation of consumers. Finally, I really look forward to Honeywell launching new products that will excite the Nigerian consumer.